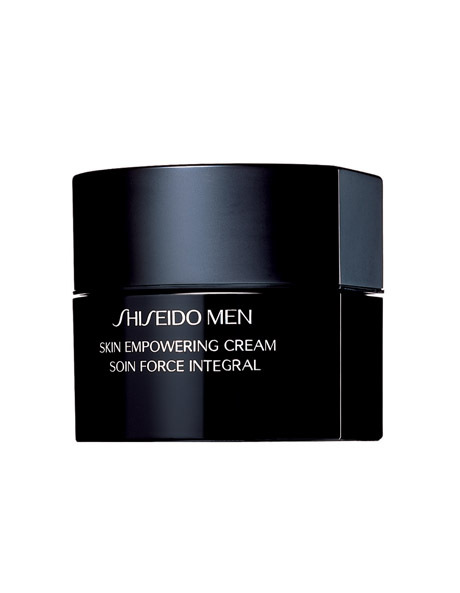 -Formulated with Carnosine DPTM* and Beech Bud Extract**, this cream provides intensive vitality to fatigued skin by optimizing skin functions for youthful-looking firmness. -Minimizes the appearance of wrinkles and improves skin's resilience around the eye area and facial contour with regular use. -Formulated with Damage Defense Complex and a Vitamin E derivative. -After cleansing and/or shaving, smooth desired amount over face with upward lifting motions.